Jump rope is an ancient game, played as far back as the Middle Ages. The Dutch brought the game to North America in the seventeenth century, and by the beginning of the twentieth century, children were jumping to rhymes. 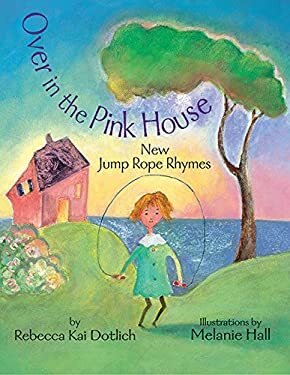 Now acclaimed poet Rebecca Kai Dotlich brings her vivid imagination and love of wordplay to this unique form of folklore in this joyous collection of original jump rhymes. Kids won't be able to resist the infectious rhythms and the rich imagery in these newly minted rhymes. With playful illustrations by Melanie Hall, this collection invites kids to ""Jump in the circle, one and all/Gold and copper candlelight/stay out jumping late tonight." As a special feature, the lower right corner pages function as a "flip" book.